One of the most anticipated games for iOS is finally out and it’s the first game on mobile that features one of the most beloved characters in gaming history. Nintendo’s Super Mario Run hit iOS yesterday and it already seems to be a hit. The game plays very much like traditional Super Mario but simplified for mobile and touch, simplified to the point where all you’re really doing is just tapping on the screen. There are two modes of play in Super Mario Run. There’s World Tour and Toad Rally. 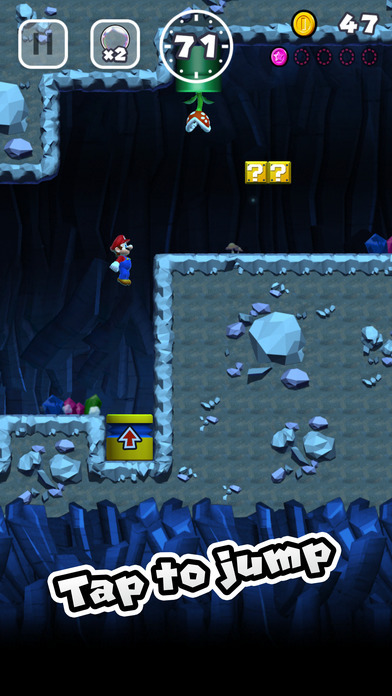 World tour plays like traditional Super Mario where each world has a series of levels you must complete in order to make it to the end castle on each world where you think the Princess is being held. Toad Rally is a new mode and is a competitive mode. 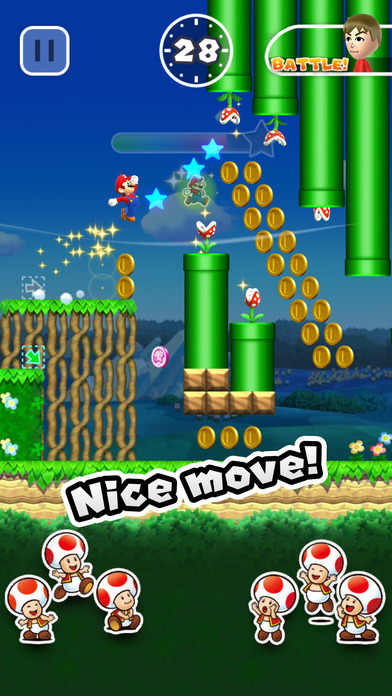 You can play against other people around the world to see who can collect the most coins and Toads. Collected Toads will then live in your kingdom. Toad Rally is actually pretty fun but will require Rally Tickets to play. Graphically, this is a very pretty game and is on par with much of Nintendo’s current library of Super Mario games. Like most Mario games, everything is bright and colorful and will be familiar to anyone who has played a Super Mario game. The audio is also straight up Super Mario. Fans of the series will absolutely love everything they see and hear in Super Mario Run. 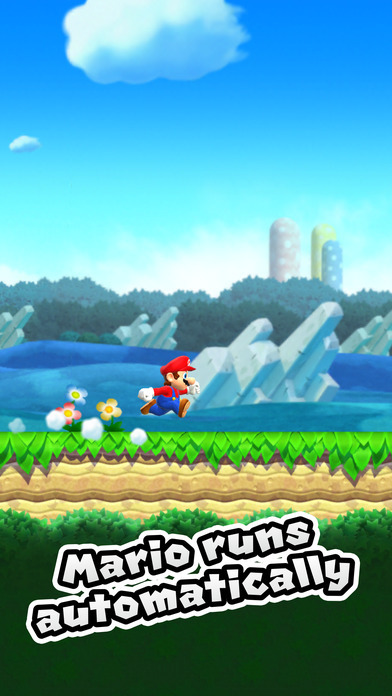 Super Mario Run features some rather simplified controls for mobile. 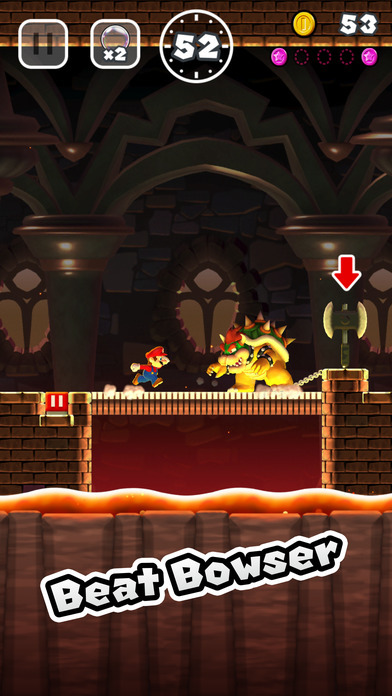 Most of the game requires various degrees of tapping to alter jump height but to simplify matters even more, tiny jumps don’t even require taps. The game will automatically jump for you in those cases. What that means is that most enemies you encounter, the game will just automatically jump over them for you. If you want to jump on enemies, you’ll have to manually take over. This is a very faithful Super Mario game and does the series justice. Even with the simplified controls, the game is quite fun and can be enjoyed by fans of all ages. Now comes the part that you may not like. Super Mario Run in its free form is essentially just a demo. In World Tour mode, you’ll only be able to play the first 3 levels of the first world for free. Once you hit the first castle, you’ll be prompted to purchase all 6 worlds for $9.99. It would have been nice if they let you at least play the entire first world, but that’s not the case. With Toad Rally, you’ll only get to play if you have Rally Tickets available to use, but you can easily gain those just by playing World Tour. UPDATE: I only played this one Wi-Fi so I didn’t notice this but apparently the game can chew through a ton of data. There have been reports of high data use amongst players. Just be weary of that. If you don’t mind spending the $9.99, Super Mario Run seems like a really good game to buy. It’s probably worth the price as there is quite a lot to do in it and you can tell Nintendo really put their effort into it. 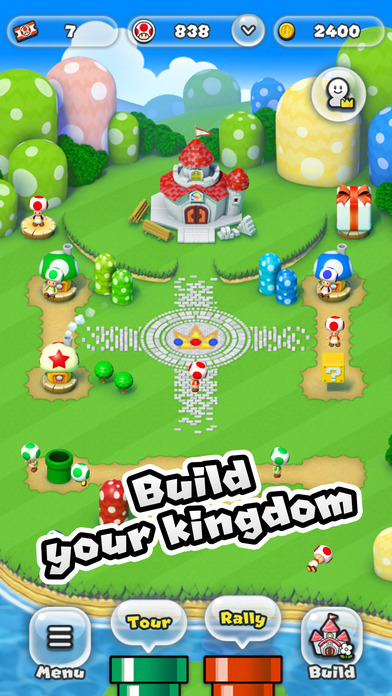 If you’re a Super Mario fan, you at least owe it to yourself to download the game and try out the first 3 levels. I’m betting you’ll probably like what you see.